Together with the release of SDK v3.2 (and higher) Matali Physics engine is readied for optimized multiplatform app programming model. In this model you can target Android, BlackBerry OS, iOS, Linux, OS X, SteamOS and Windows ecosystem with a single, shared, unified C++ codebase. You can share most of your code between all the platforms. 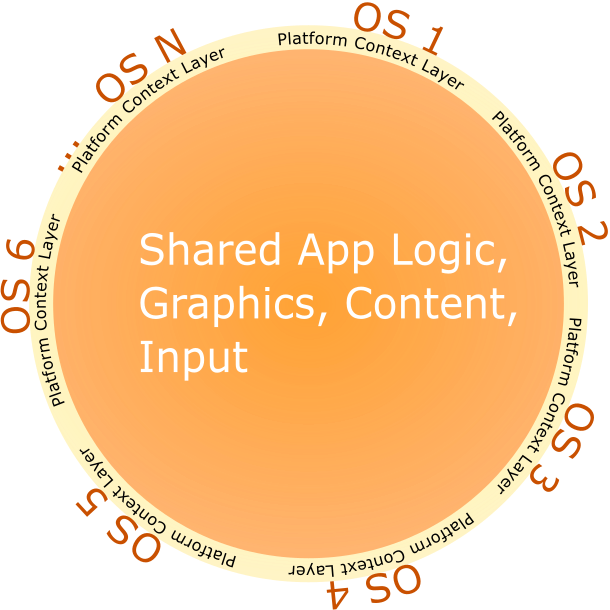 A specific element of each platform is its context layer. Sample context layer for each supported platform is supplied with full source code in Matali Physics SDK. All the context layers you can easily modify to suit your needs. Posted - Sun, Oct 5, 2014 3:17 AM. This article has been viewed 3899 times.